Poodle mixes are the most popular designer dog category for now. These new dog breeds have a lot of unique qualities than other dog breeds. 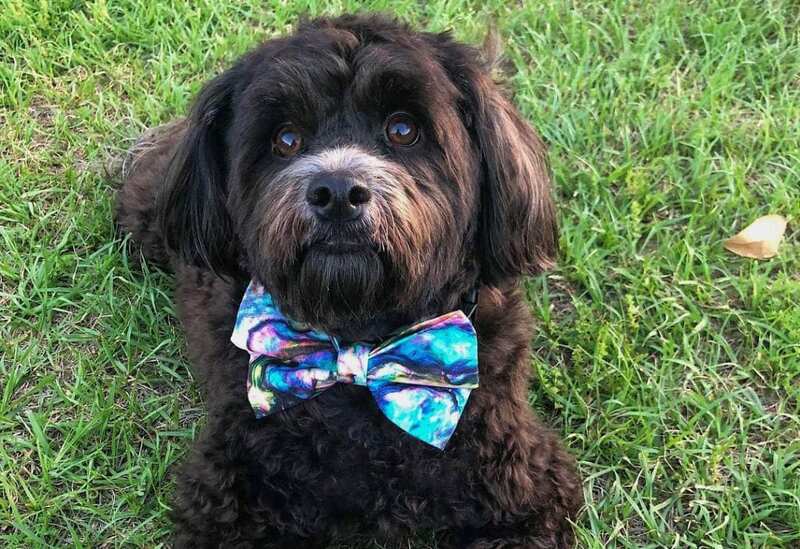 Check out these top 25 cutest and most popular poodle mixes that will surely melt your heart. You will need long to bring one of these beautiful creatures home by the end of this read! 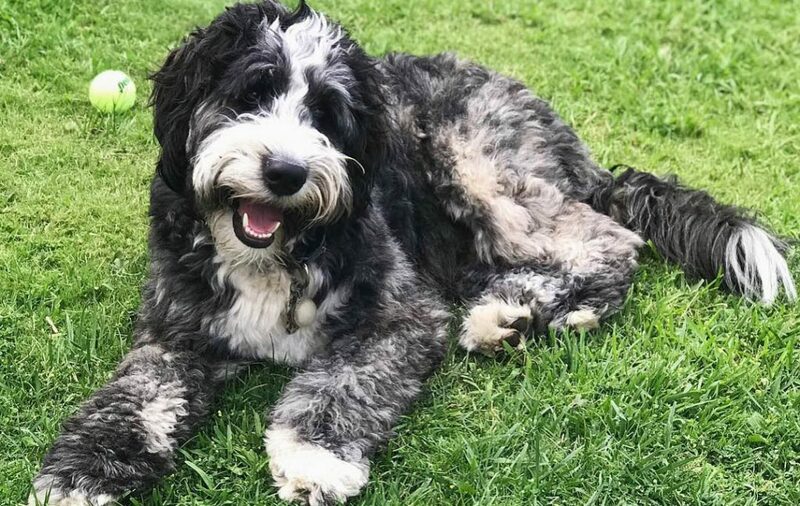 Bernedoodle is a cross-breed between the Bernese mountain dog and the Poodle. This smart and amiable poodle mixes come in a fluffy coat that is long and sometimes wavy. These dogs are also known as Bernese Mountain Poo and may be found in a range of colors including pure black, a combination of black and white, and black and brown. You may also find a few of these dogs in tri-colored coats mixing white and brown with black patches all over. These poodle mixes come in three different sizes and weight accordingly. 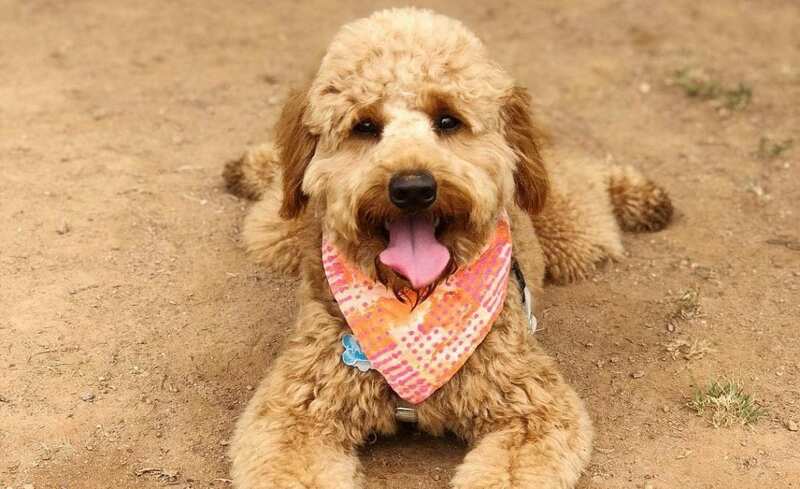 A mini Bernendoodle weighs between 10 to 24 pounds and is 12 to 17 inches tall. The miniature comes weighing approximately 25 to 49 pounds and stands tall at 18 to 22 inches. As for the standard hybrid, the weight is about 70 to 90 pounds and height between 23 and 29 inches. These intelligent dogs have a lifespan of 12 to 15 years, or more if they are well taken care of. Boxerdoodle is bred from a Poodle and Boxer, hence the muscular structure and a tenacious appearance. Also known as a poodle boxer mix, this hybrid is a type of working dog that is safe around people with allergies, owing to minimal shedding. These poodle mixes are often found in water-repellent coats that are either short but thick or long and somewhere between wavy to curly. These dogs are commonly found in shades of fawn, black, red, white and some come in flash markings on the body. This designer dog weighs about 12 to 70 pounds and stands tall at 10 to 25 inches. With an average lifespan of 10 to 14 years, they are highly adaptable and easy to train if training begins during the early ages. These dogs are great with children and older people. More so, these dogs are exceptional at therapy, hence making for popular service dogs too. This poodle mix originates from Germany. These are quite self-explanatory; a mix of Dalmatian and Poodle. These poodle mixes are also known as Dalmapoo and Dalmationpoo. As much as these adorable looking dogs enjoy being around people, they seem quite protective when they encounter strange faces. However, you cannot stop one from falling in love with these playful poodle mixes owing to their charming and affable personalities. 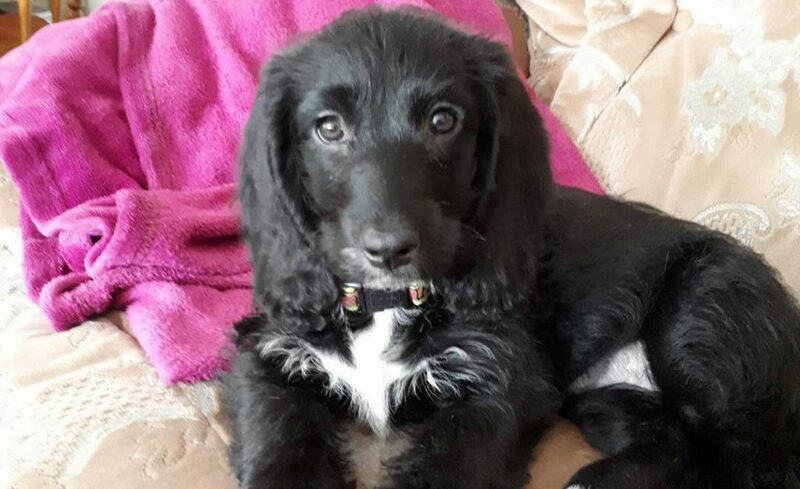 Looking for a loyal dog, there is no better option than adopting a Dalmadoodle. These hybrids have the longevity of 11 to 15years if they are fed and exercised appropriately. They come in dense, curly coats similar to the poodle, or short and beautiful coats just like that of a Dalmatian. The former will result in minimal shedding, but this is not true if they have coats resembling the Dalmatian parent. Shedding, in that case, may be excessive. These medium-sized poodle-mixes weigh about 50 pounds and have an average height of 21 inches. They have three times the appetite of a small Terrier. 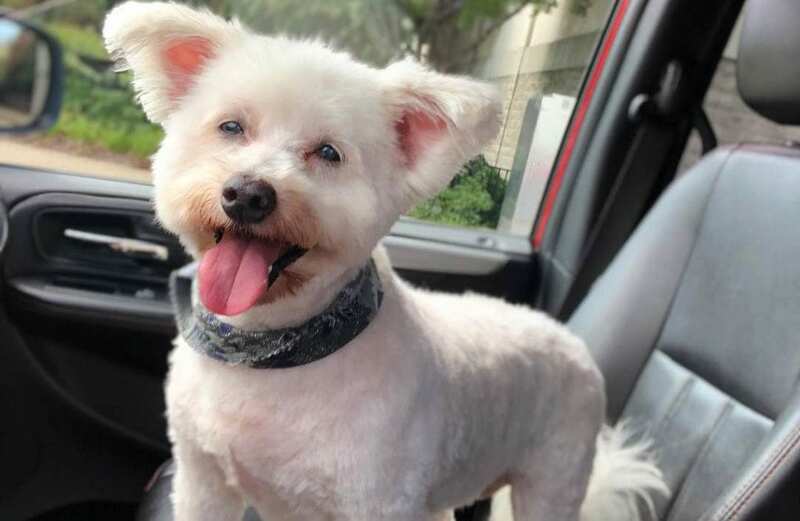 This hypoallergenic dog is a mix of Bichon Frise and Toy/Miniature Poodle. Despite its small size, weighing no more than 9 to 13 pounds and standing tall at 12 inches maximum, these poodle mixes are full of energy. They are adaptable and can go about playing for more than an hour or longer, without feeling enervated by the end of it. Their sudden burst of energy makes them quite the entertainers and mood up lifter after a long and hectic day at work. These poodle mixes come in silky, thick coats in a range of colors; white, tan, black, apricot, brown, and grey. Other than these solid colors, you may come across Bichpoos in tri-colored coats, and some may even have white markings all over. Originating in the USA, these designer dogs are the anxious types, hence requiring socialization and training at a tender age. Its kind nature makes it a friendly animal around kids and strangers. Although easy to train, these astute animals can fall prey to small dog syndrome. Don’t fall for the bossy in its name; this poodle mix is cross-bred from the Boston Terrier and Miniature Poodle. There is nothing bossy about this adorable little puppy. It’s smart, friendly, faithful and most of all loving. Originating back in the 1980s, this hypo-allergenic poodle mix is an entertainer for the whole family. He loves spending time with family and close ones and is not shy when it comes to expressing. The Bossi-poo weighs about 25 to 50 pounds on average and can live up to 15 years, provided that he is looked after adequately. It comes in a single coat of hair that is majorly curly, hence minimal shedding throughout the year. Winters can be rough for these little fur balls, and it’s also the ideal time to dress these agile champions into cute outer-wear. These hybrids love water and will make for the perfect companion when going out for water sports. These dogs come in solid colors such as back, golden, white and brown with an average height of 15 inches. The Eskapoo takes its various personality and temperament traits from its parents; the American Eskimo and Poodle. This medium-sized dog is great a companion and watchdog that has massive energy. These dogs are available in a range of colors combinations such as white and cream, shades of apricot, blue, black, white, grey, silver brown and café-a-latte. Their soft and fluffy coats span from slightly wavy to the curly texture but are relatively dense with lengths close to long on a scale of small, medium and long. 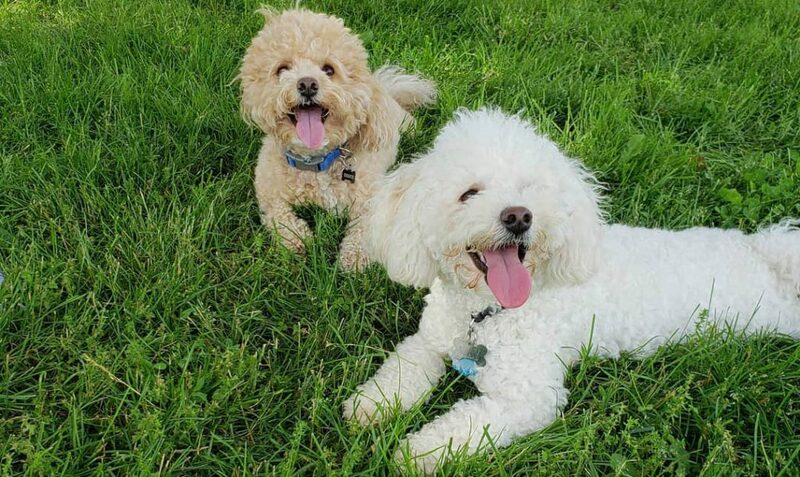 These energetic poodle mixes require an average of 11 miles of walking or running per week and about an hour long of activity daily. 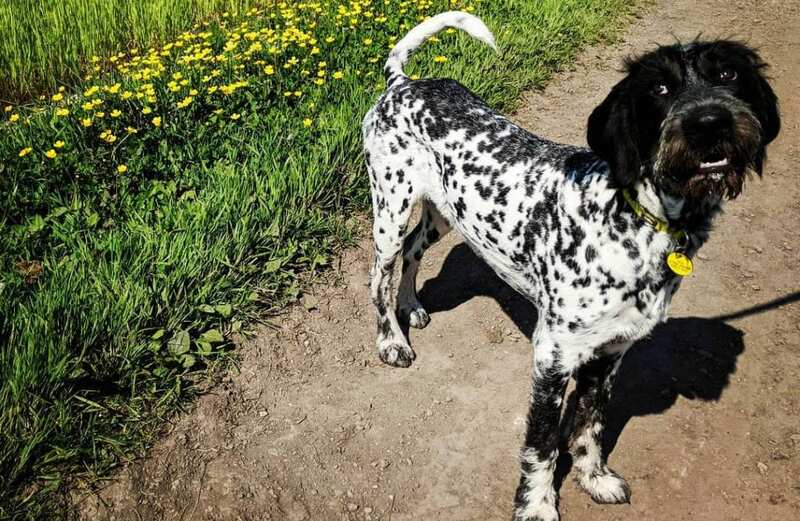 This astute hybrid comes with exceptional obedience traits, and so does well with training. The Eskapoo weighs about 20 to 30 pounds and has a height of 15 to 20 inches. It has a life expectancy of 10 to 13 years on average and has a higher daily consumption of food – 3 cups full. They are also commonly known as Pookimos. The Flandoodle is a charming designer dog that originates in the USA and is cross-bred from Bouvier des Flandres and Poodle. It is a large dog that weighs between 55 and 85 pounds and stands tall at 22 to 28 inches. 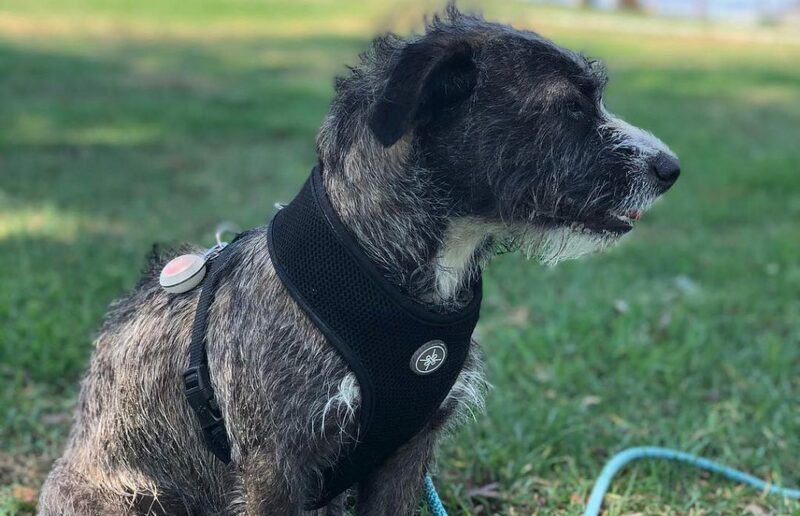 These poodle mixes have an average life expectancy of 10 to 12 years and are susceptible to a range of health problems that impact the vision, heart health, even cancer in the most bizarre cases. Flandoodle is usually found in a somewhat curly to rugged-furry coat and has minimal shedding throughout the year. They make for ideal companions since they are gentle, loving, loyal and watchful. They are also very enthusiastic all day long, and can be quite the entertainers! However, these dogs hate isolation and are prone to destructive behavior if you leave them on their own for long durations. They love interacting with people and other animals too. These athletic dogs could give you a hard time during training sessions, but they’ll come around. All you need is a little patience! 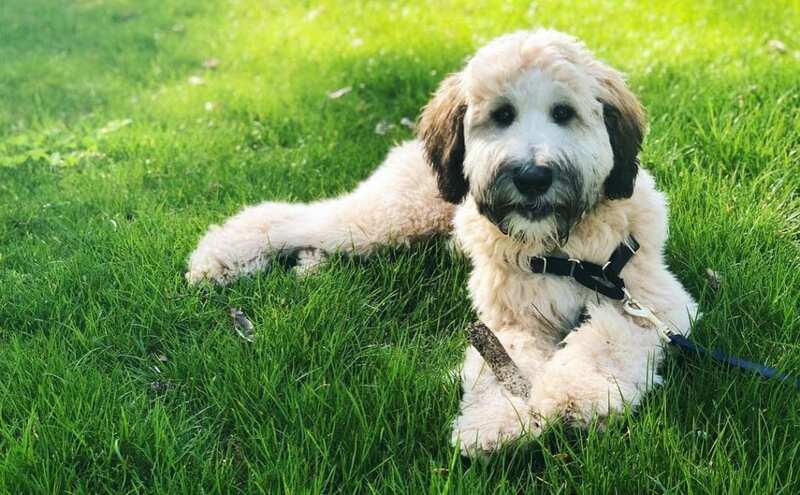 These highly-trainable designer dogs are a mixed breed – a combination of the Poodle and Wheaten Terrier. These cute poodle mixes are quite the intelligent dogs that won’t ever give you a tough time with training; basic or advanced! Make sure you induce positive reinforcement when training these easily annoyed pups. Whoodles are available in three different sizes; miniature, medium and standard, and have an average weight between 20 and 45 pounds. These friendly and playful dogs are sociable, and love interacting with other people, and pets. These animals come in non-shedding coats, so if you have asthma or other allergies, there isn’t too much danger to keep away from! They can have a long, straight or curly coat that comes in a variety of colors such as black, chocolate, red, silver, cream and apricot. This hybrid dog is likely to live up to 15 years if kept well-nourished and adequately groomed. 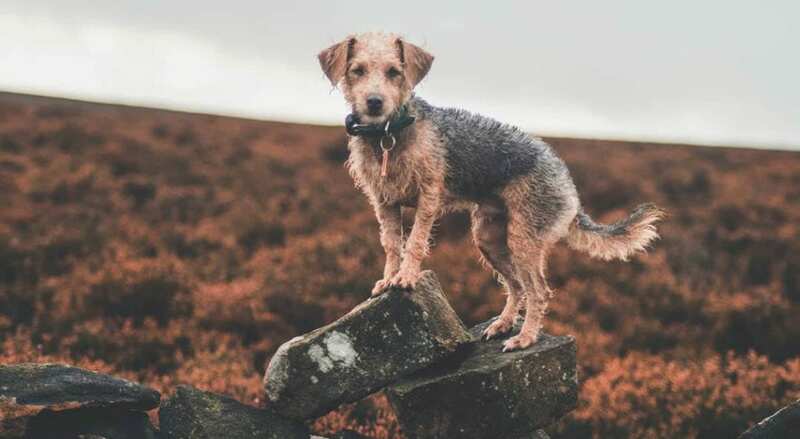 Also known by names such as Jackapoodle, Jackdoodle, and Poojack, this designer dog is a cross-breed between the Jack Russell and Poodle. It has a lifespan of 12 to 15 years and weighs about 13 to 25 pounds on average. 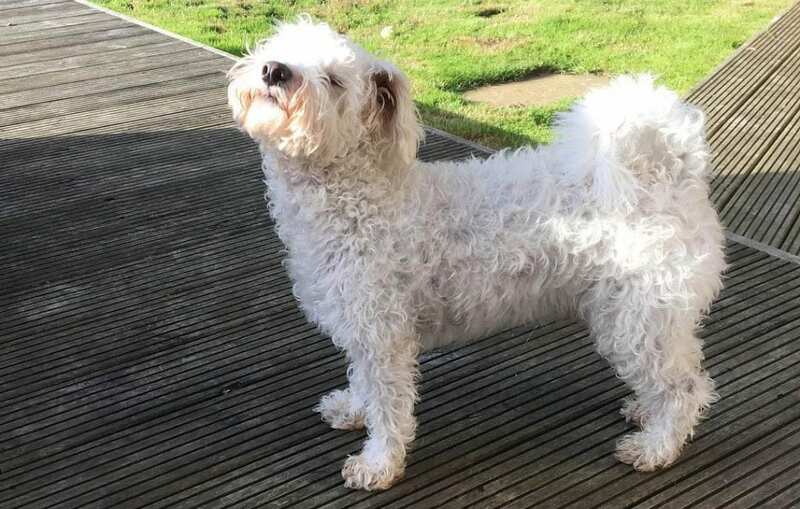 These poodle-mixes have been popular globally as hybrid dogs that are smart, charismatic and quick-to-learn and catch-up. These hybrids are hypo-allergenic, owing to their low-shedding coats. Their coats are silky and smooth ranging from wavy to curly hair. These poodle mixes may be found in colors such as black, tan, white, blue, chocolate, brown, cream, golden, silver, and grey. The Jackapoo makes for an excellent companion dog that is energetic, friendly and highly adaptable to unfamiliar environments. These dogs are not fond of isolation and are much happy being around their owners and loved ones, throughout the day. These people-oriented dogs require daily exercise, and these must be trained from a young age. The Pekepoo is a designer canine that has been cross-bred from the Pekingese and Poodle. It weighs between 25 to 40 pounds and stands tall at 10 to 15 inches from the ground. Originating from Europe, these poodle mixes are exceptionally adept at hunting, owing to their smart and energetic personalities. These dogs are amiable and fun-loving yet quite loud when it comes to incessant barking. So, you might want to put your babies to sleep after the dog has slept-in. These hybrids enjoy social interaction with family members and other pets. They are fond of playing around both indoors and outdoors. 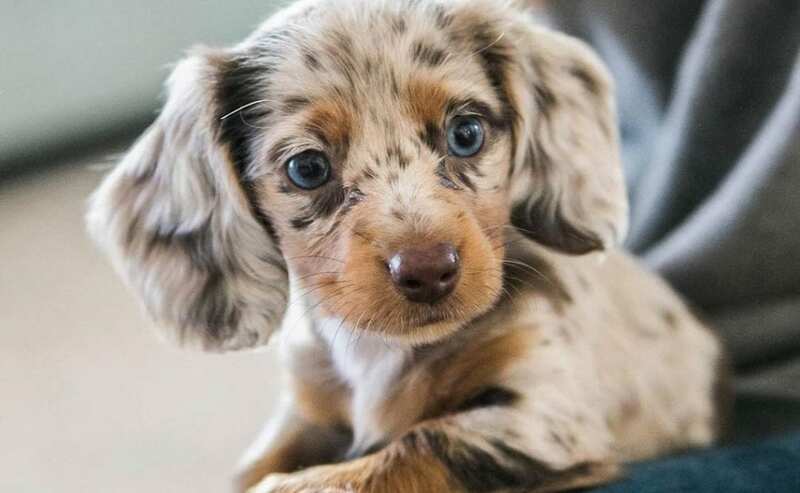 They have soft and wavy coats, ranging from medium to long length, and are available in colors such as grey, black, blue, red, brown, brindle, cream, white, fawn, and silver. These designer dogs have an average life expectancy of 11 to 15 years if kept healthy and adequately nourished! This affectionate and faithful designer dog is a cross-breed of the Collie and the Poodle. It is also commonly known as Colliedoodle and Colliepoo. These hybrids are intelligent and full of energy. Poodle mixes love cuddles and are extremely well-behaved around kids. However, early socialization is required; otherwise, the dog could remain fearful of people and other animals. Border Collie Poodle mix has an average life expectancy of 12 to 15 years and weight ranging from 50 to 70 pounds. These dogs, both male and female stand tall at 12 to 26 inches, from the ground. The male has a slim, yet sturdy built and looks more like an athletic dog that has a resolute gait. 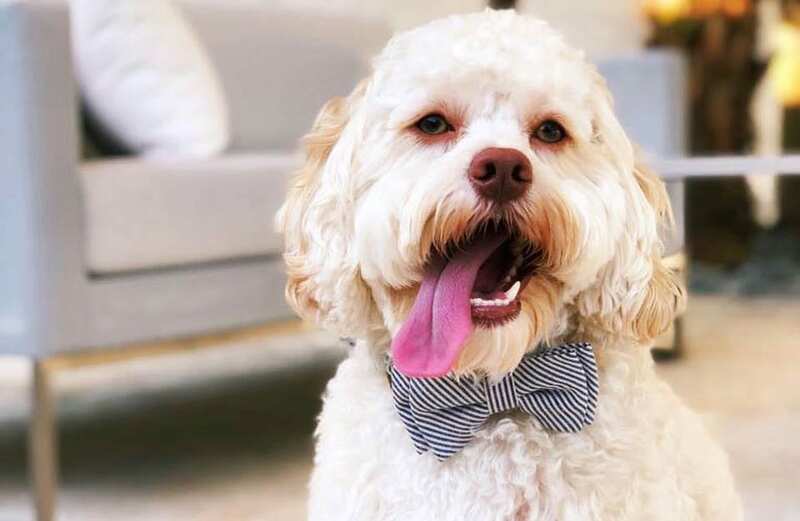 These popular poodle mixes have soft and wavy, double-layered coats that are found in solid colors like blue, merle, brown, black, and white, while tri-colored coats are also common. 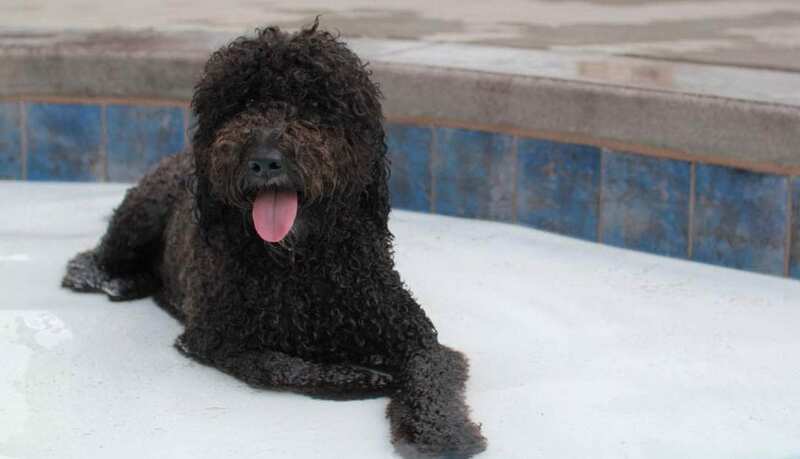 As a family companion dog, the Cadoodle is obedient to training, and loves a challenge or two! 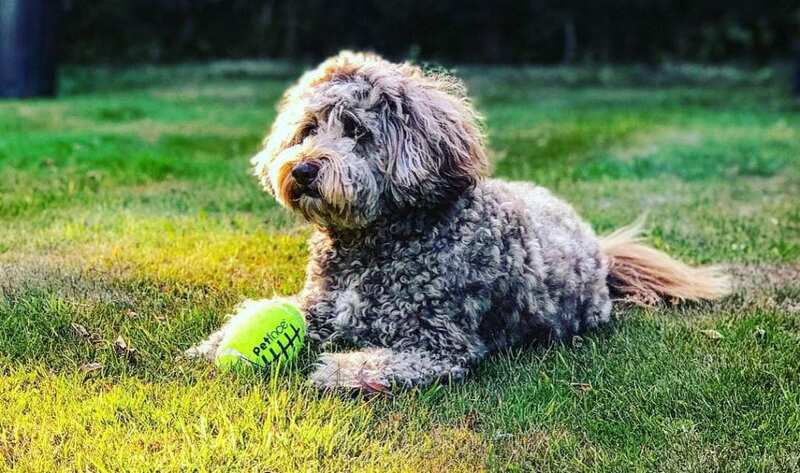 Popular as Doxiedoodle, this teddy bear dog takes personality and temperament traits from both its parents – the Dachshund and the Toy Poodle. These hybrids are generally stubborn when it comes to training. They tend to have short attention spans and are easily distracted. Positive reinforcement and patience will help you through with training these little munchkins. These Cute poodle mixes can be small weighing about 10 pounds, or they can grow up to become medium-sized dogs weighing no more than 30 pounds. These watchful playmates are always on the look-out for strangers and can be quite friendly to strangers once they come to know them as non-threatening to their owners. These dogs have either long and curly coats, or short and coarse ones, depending on which parent they are most likely to resemble. These dogs are found in solid colors like black, brown, grey, tan or a combination of these. They tend to live for as long as 15 years if adequately groomed! 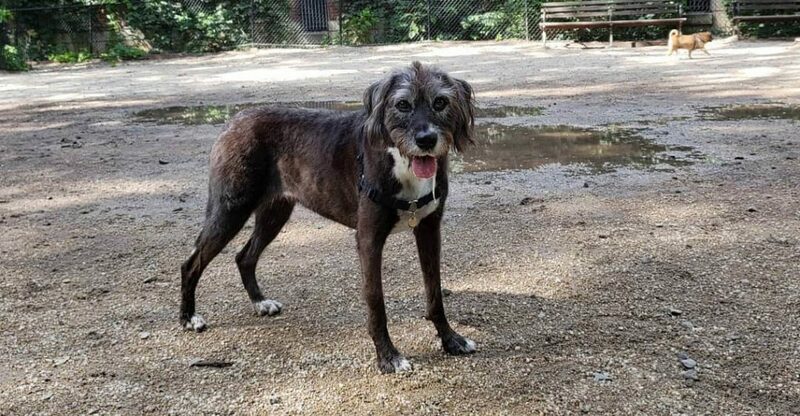 Another one of the mix-breeds, this canine is a combination of Basset Hound and the Poodle. These hybrids weigh about 15 to 25 pounds, where the male stands at 13 to 20 inches tall, while the female features a height of 14 to 16 inches. This poodle mixes also commonly known as Bassetdoodle, are expected to live as long as 15 years. These hybrids come in long, slender bodies, and they are covered in double-coated fur and are thus non-hypoallergenic. They are usually found in color tones such as black, brown, tan and white. These loving animals are on the look-out for love and affection from their owners. They are equally friendly and curious. They are sensitive to smells and are hence agile when it comes to sensing danger or intruders. These dogs must only be made to exercise for short periods, ad they could easily get tired and fatigued! Try avoiding exertion during cold weathers. Cavapoo is a mix-breed, designer dog that has been created from a combination of Cavalier King Charles Spaniel and the Poodle. 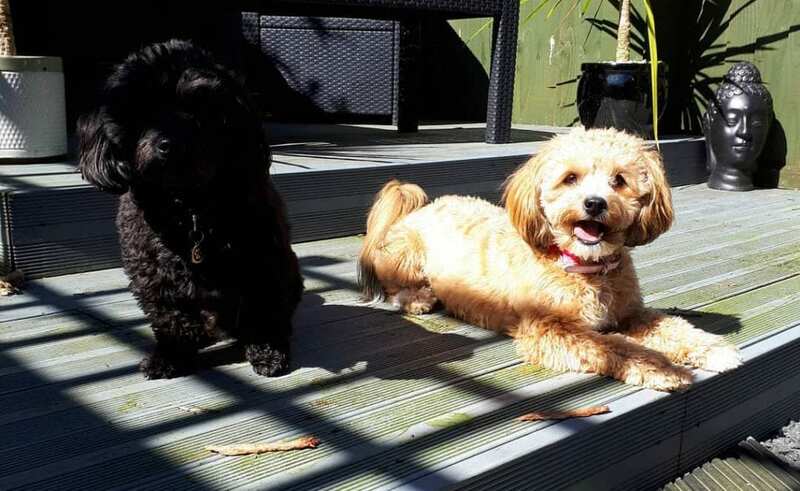 They are also popular as Cavoodles in parts of Australia. These dogs were initially bred in the USA during the 1950s. These poodle-mixes have extremely sweet nature; they are affectionate, faithful and affable. They are devoted to their owners and family and enjoy socializing with new people and animals. These dogs have either long, silky coats, or they might come in wavy-textured coats, depending on which parent they are most similar to in appearance. These dogs come in a range of color tones; black, white, chestnut, gold and Blenheim. Tri-colored coats are also standard, combining black, white and tan. The Cavapoo has an average life expectancy of 13 to 15 years and weight about 11 to 21 pounds. Lastly, these hybrids are highly trainable but require training to begin as soon as they are introduced to their new home. Try starting with positive reinforcement and exercise patience with these slow learners! The Lhasapoo loves to cuddle, and you’ll love its soft and cozy cuddles! 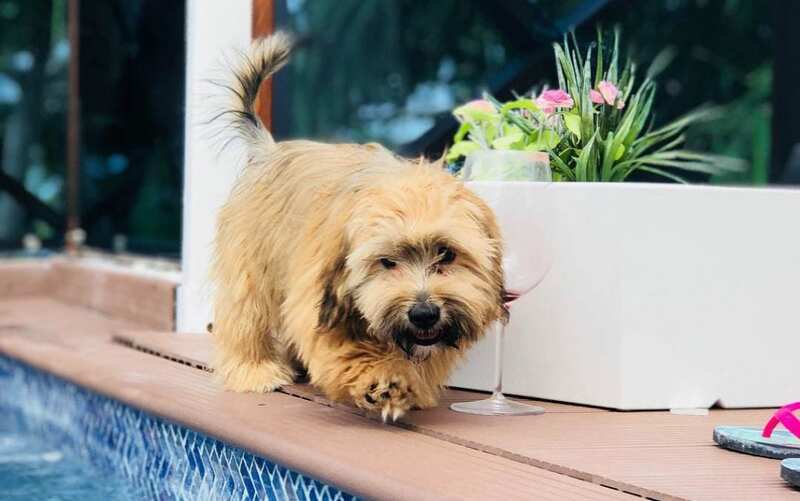 This fun-loving and adorable looking designer dog is a mix of Lhasa Apso and the Poodle. 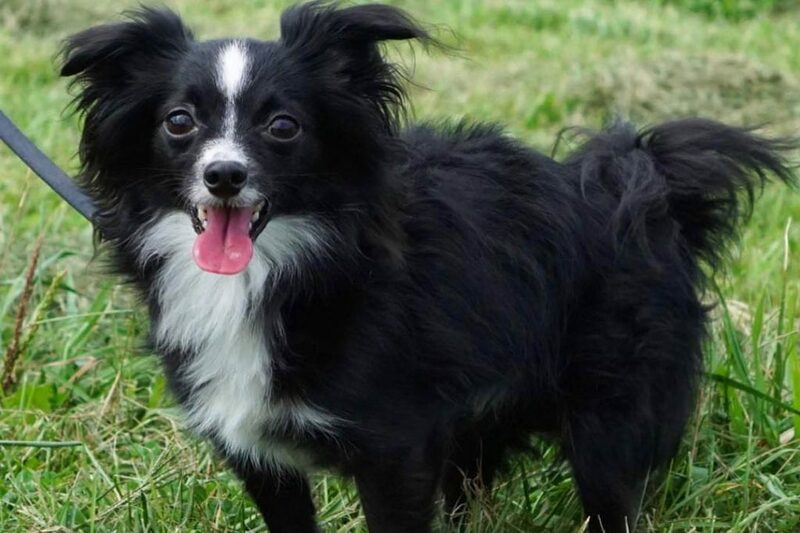 This hybrid is a small dog that weighs no more than 20 pounds and can live up to 15 years. This popular poodle mix may be curly, with a thick coat or might come in a long and silky coat, similar to its parent – Lhasa Apso. Owing to minimal shedding, this dog makes for a hypo-allergenic pet for homes with allergies and asthma. You’ll find these adorable fluff balls in color tones such as black, white, brown, tan or a combination of all these. 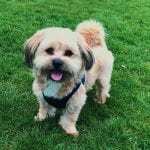 These dogs are playful, remain close to their owner and family and are watchful, just like their parent Lhasa Apso. 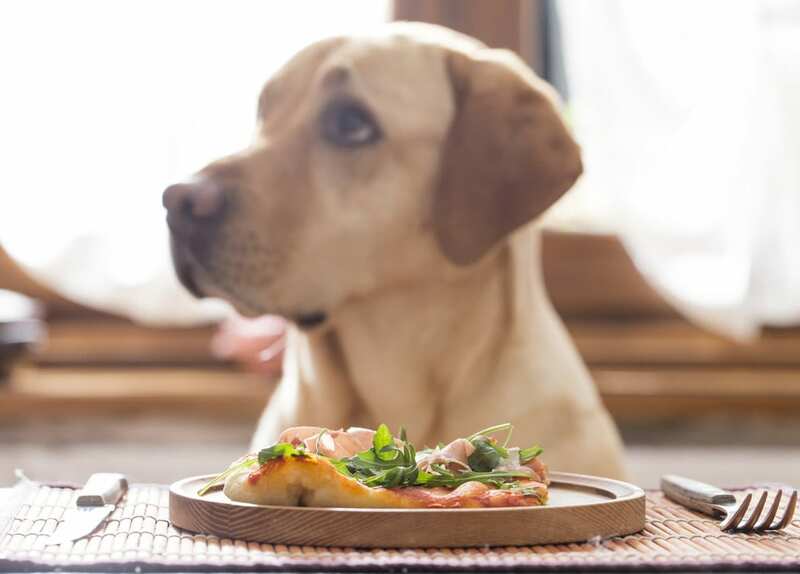 These dogs can also become too clingy, as they dislike being ignored and kept in isolation. So, you might want to spare some time to form your everyday routine to spend quality time with your pet. This outgoing and highly sociable designer dog is a mix of Toy Poodle and Chihuahua. This family-oriented, loving dog is a treat to look at! With an average life expectancy of 12 to 15 years, it weighs between 5 to 20 pounds. These hybrids stand tall at the height of 5 to 15 inches from the ground. These cute poodle mixes are to be fed premium quality dog-food, and owing to its susceptibility to hypoglycemia, blood sugar must be regulated all day long. 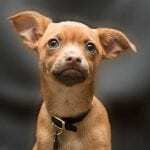 The Chihuahua poodle mix can have either short or long hair, and their coats tend to be shiny, soft and thick toward the neckline. 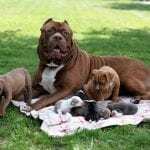 They are usually found in a range of colors and color combinations such as cream, brown, blue, brindle, silver, grey, fawn, white and black. Chipoo has a great memory but is slightly slow-paced when it comes to learning new things. They are more likely to respond to positive reinforcement and soft-tone. This fairly active dog must exercise daily, for at most 45 minutes. Also popular as Shoodle, this designer dog is a mix of Shih Tzu and the Poodle. 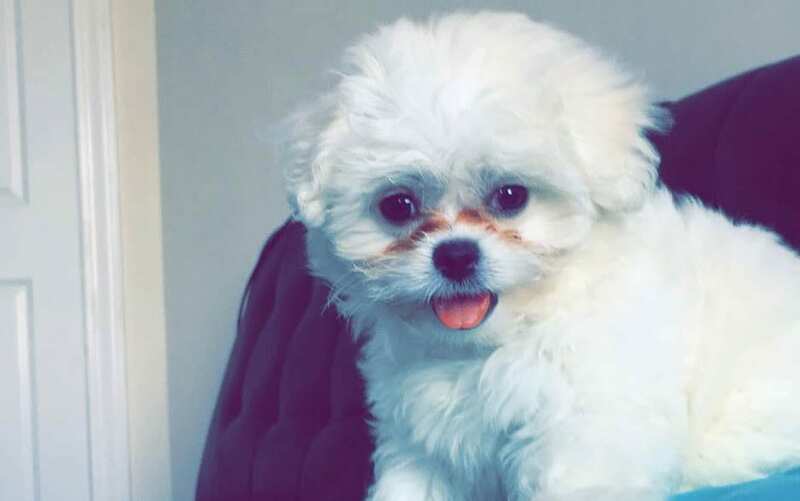 The Shihpoo is probably the most energetic dog you’d ever come across. Originating in the USA, this hybrid has gained quite the popularity on a global level. People all around love this fun-loving, playful, hypo-allergenic dog. A Shih-poo weighs about 8 to 18 pounds and comes with an average height between 8 to 13 inches. 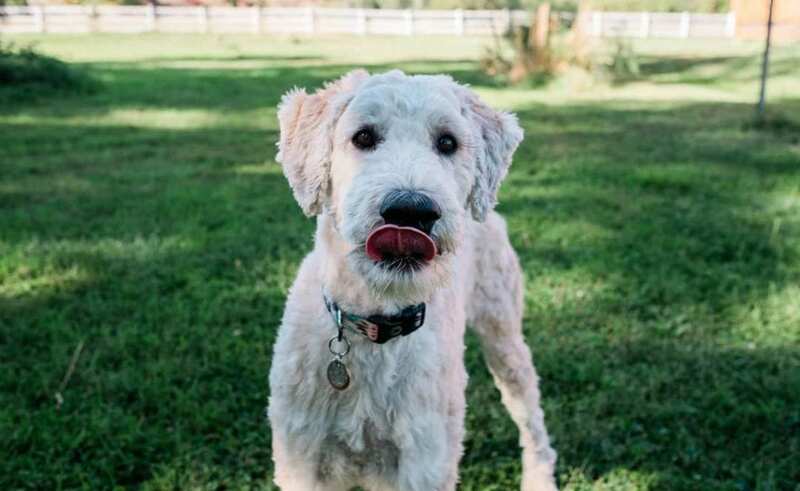 This poodle-mix loves to play around the house and outside, and is not shy about meeting strangers. It is always on the look-out for fun, adventure and activity, and loves a random cuddle or two. With an average life expectancy of 10 to 15 years, Shihpoos need to be fed premium quality dog food, and their oral hygiene needs to be top-notch! These dogs come in sometimes long and silky coats, while at times you might see these designer dogs covered in short and curly hair. They also come in a variety of colors and are the ideal pets for homes with young children. This companion dog is a cross-breed of the Miniature Poodle and Pomeranian. With a weight between 5 to 15 pounds, this is generally a small to medium-sized dog that stands tall at 10 inches maximum. This outgoing and sociable designer dog loves staying close to the owner and family but is hesitant around strangers. They are smart and quick learners. Cute poodle mixes are house dogs, and if they spend time outdoors unsupervised, isolation and destructive behaviors become commonplace. As a result, you may experience incessant barking, digging, and disobedience. These hybrids come in slightly wavy to curly coats that range from medium to long lengths. They are usually found in color tones of brown, fawn, black, white, sable, and red. Their hair must be brushed daily to prevent tangling and shedding. The coat may also require a trim once every three months, to remain healthy, shiny and soft. 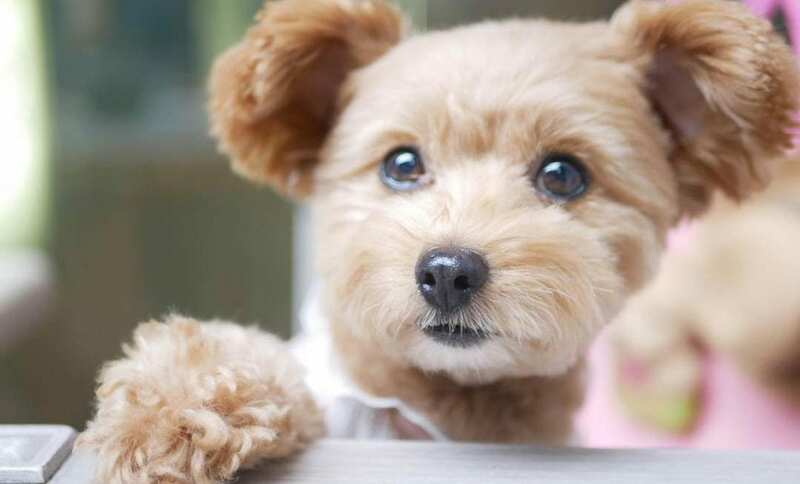 Yorkiepoo is another designer canine that combines the traits of a Yorkshire Terrier and Toy Poodle. 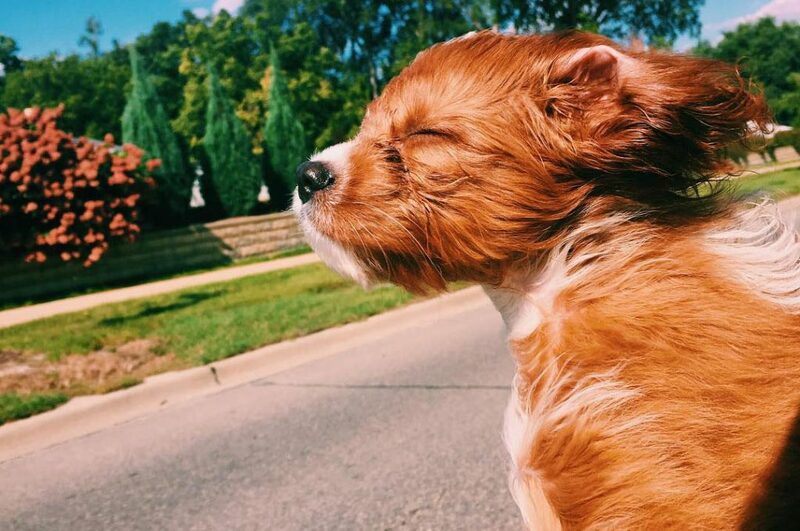 This small-sized dog, weighing no more than 15 pounds is calm, healthy and the most adorable thing you’ll see. The small stature of this poodle-mix makes it suitable for homes with children and old people. 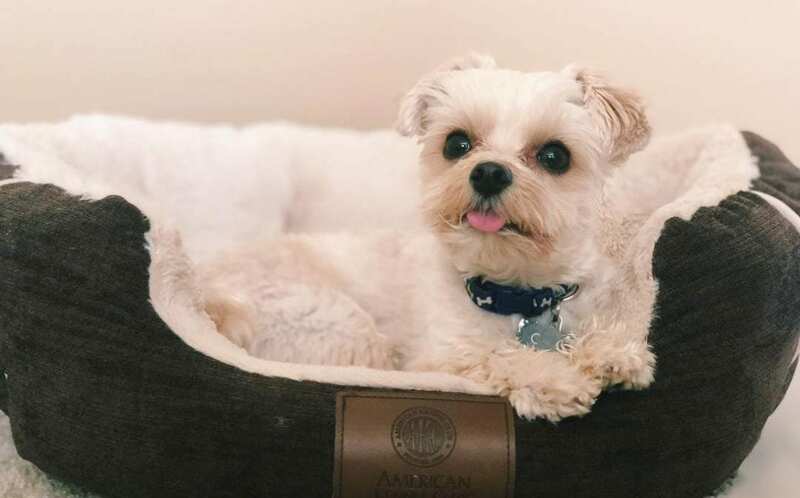 The Yorkie poo can live up to 15 years or more if it is well looked after, appropriately fed, allowed ample activity, grooming, and exercised adequately. These hybrids can have either straight or curly, soft coats that are essentially non-shedding, making for hypo-allergenic qualities. On average, a Yorkiepoo requires no more than 30 minutes of activity each day, since they are already quite active and energetic. This smart canine is easy to train, but monotonous and repetitive sessions could make them rebellious. So, start slow and pick up the pace as you move along from basic to advanced levels! The Schnoodle is an active, intelligent and delightful puppy that is a combination of the Poodle and the Schnauzer. These hybrids are considered non-shedding canine, but you can say that they don’t shed as much as other dogs. This makes them a suitable pet with minimal dander that won’t trigger allergies. A Schnoodle has a double-layered coat that can be thick, long, and wavy to curly in texture. These poodle mixes come in a range of solid colors such as black, blue, brown, cream, grey, red, silver, white, beige, and apricot. You may also find these adorable dogs in a combination of colors with markings all over their coats. A standard sized Schnoodle weighs between 35 and 60 pounds and is usually 15 to 20 inches tall. These active dogs have an average life expectancy of 10 to 15 years. They make for vigilant guard dogs and are highly protective of their owners and family members. This hybrid dog is a designer canine that takes personality traits from its parents – the Poodle and Golden Retriever. Weighing approximately 50 to 90 pounds, this poodle-mix can live up to an average to 10 to 15 years. Another popular name for this designer canine is the Groodle that makes for a versatile companion dog. They have also been extensively used as sniffer dogs, guide dogs, service dogs and therapy dogs in different parts of the world. These easy-to-train and family-oriented dogs require 20 to 30 minutes of regular exercise. They are smart, loving, accepting and quite friendly. 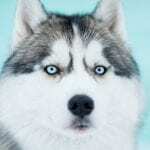 These dogs come in wavy to curly, medium length coats that are available in a range of colors; black, copper, white, cream, golden, grey, apricot, and red. These colors may fade over time, but they are equipped with light-shedding coats, making for hypo-allergenic canines. This cross-breed is an amalgam of the Poodle and the Labrador Retriever. This designer canine is outgoing, super-fun and loves to make new friends, not to mention just how cute it looks! The Labradoodle weighs about 50 to 65 pounds and stands as high as 9 to 24 inches. It generally lives for up to 14 years, if proper nourishment, grooming, and exercise are provided. These dogs come in three types of coats; hair, wool, and fleece. These differently textured coats make this animal prone to non-to-minimal shedding, and hypo-allergenic as a result. They are found in color tones such as caramel, chalk, black, red, café, cream, silver, chocolate, parchment and blue. They are also available in parti-colored coats, including phantom, patched, sable and brindle shades. These energetic dogs are smart, curious and require sufficient training and socialization from a tender age. More so, these dogs demonstrate zero signs of aggressiveness and violence. These designer dogs are famous for their charming and interactive personalities. They are loving, affectionate and are prone to anxiety when left isolated for too long. They are also quite loud, so make sure they are not compelled to take on incessant barking. 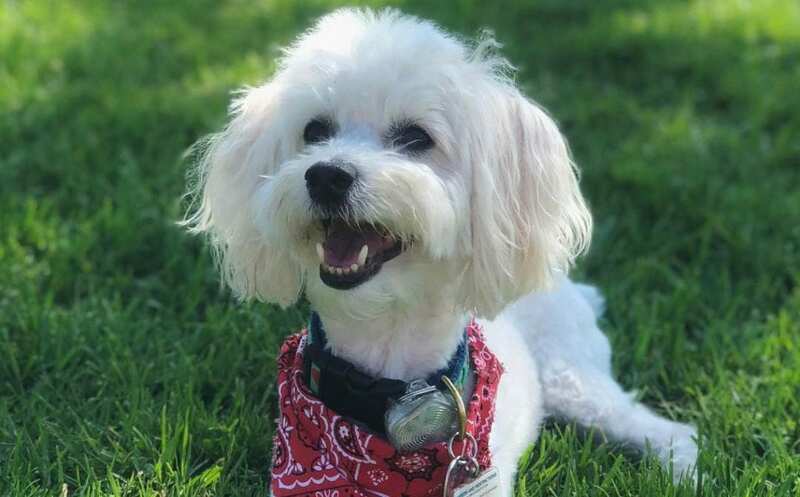 With a medium to long, soft and wavy to curly coat, the Maltipoo is a low-shedding canine. It requires regular grooming and showering to keep the coat healthy and untangled. If you had been looking for a hypo-allergenic yet charming canine, Teacup Maltipoo is an ideal choice! The Cockapoo is a cross-breed between the Cocker Spaniel and the Poodle. It is commonly known to be the perfect cuddly companion dog. The poodle-mix is high-spirited and comes with a soft and gentle temperament. 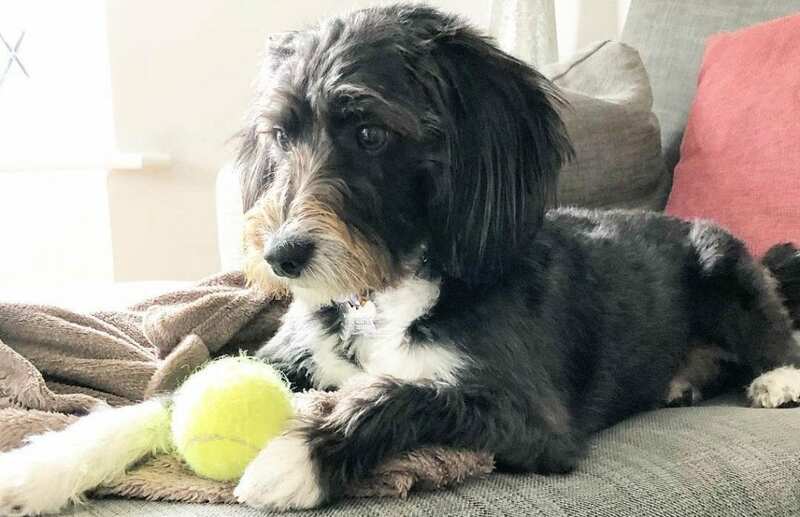 This hybrid comes in a range of sizes; toy, miniature and standard Cockapoo. The toy weighs approximately 12 pounds, miniature weights 18 pounds, while the standard sized Cockapoo weighs about 19 pounds and has a height of 15 inches from the ground. These sensitive puppies need gentle, positive reinforcement while training. They are expected to live up to 18 years. More so, these dogs have low-shedding fur coats, thus making for an ideal hypo-allergenic canine. Another mix-breed, designer dog that combines features and traits from the Poodle and Beagle is the Poogle. With a beautiful, soft and wavy coat, this poodle-mix is the friendliest and most adorable dog. It has a weight of 11 to 25 pounds, height spanning from 9 to 16 inches, and a lifespan of up to 13 years. Originating in the USA during the 1980s, the Poogle is faithful to his owner and family, and is quite watchful, qualifying as a watchdog. It requires a daily exercise in addition to its usual playtime both indoors and outdoors. The Poogle has a short and curly coat that can be either dense or light depending on the parent it resembles most. These dogs are usually available in colors including black, white, brown, grey, and tan. You may also find these dogs in a combination of these colors, with white markings drawn all over the body. Look up these beautiful, versatile and energetic poodle mixes and bring home the one that you liked most! It’ll make for a fantastic family member.